Each and every one of us deals with negative self-talk—the lies or stories we tell ourselves that often lead us down dark roads. 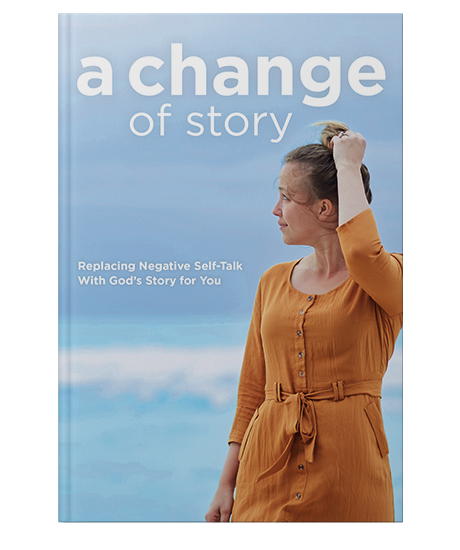 This book by Pastor Jared Oldenburg is about your story—the one in your head—and God’s story—the one in your heart. How you live and think in this life is closely connected to which story you are listening to. Let God’s story of light, his love and grace through Jesus, shine into your darkness. This short book will help you listen to the story that really matters. When you look to the light of God’s story, it changes you and leads you away from negative thoughts to the truth that you are God’s loved and forgiven child. Successfully added A Change of Story to your cart.